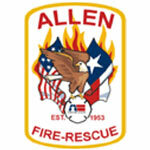 I am attending the Allen Citizens Fire Academy this spring. We had a our first class Thursday evening. If you have ever wanted to be a fire fighter or just interested in learning what is involved with being a fire fighter you should sign up for a future class. Our first class included an overview of the program and a tour of the Central Fire Station. We have a fun 10 weeks ahead as we get to play with all the tools and toys that fireman get to play with. I am looking forward to the Extrication class where we get to use the jaws of life and rip open a car. And of course driving a fire engine will come later in the class. One item that stood out is the level of excellence the City of Allen Fire is committed to. The Fire Chief discussed the various innovations and improvements that have been implemented within the city. From simulations to time motion studies, the level of sophistication and professionalism was very impressive. I am looking forward to the next several weeks. I have attached a video to provide a glimpse into what we will be doing for the next 10 weeks. It is from 2013, so the dates are old, but the fun will be in 2015.